Online Editor, Simon Wittenberg, reviews the mighty powerful and luxurious 4×4, as the iconic G-Class or “G-Wagen” celebrates four decades on the road in 2019. 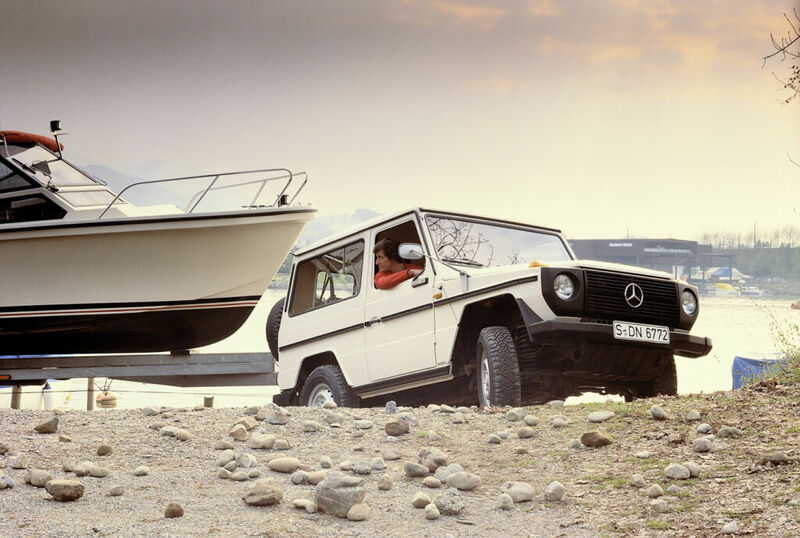 For a very brief history of the Mercedes-Benz G-Class before we get started, this car was first conceived for use in the military before the civilian 460 Series, known as the “G Model”, rolled off the production line in 1979. In 1980, it became the Vatican’s “Popemobile”, and 10 years later, the model, based on a revised chassis, was refreshed with the introduction of the 463 Series which was more sophisticated and offered a wider range of technological features. In 1994, it formally became known as the G-Class and has since achieved cult status. The G 63 variant itself has been around since 2012. 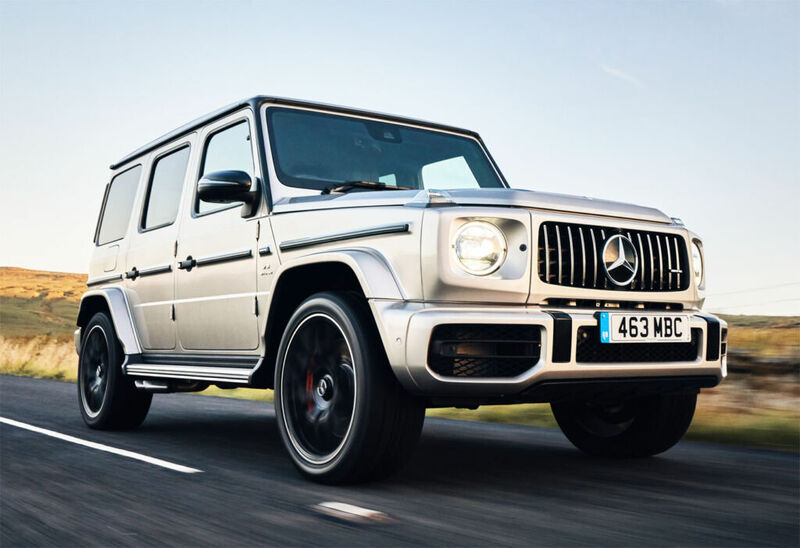 It replaced the outgoing supercharged G 55, and took the crown of the most powerful and expensive G-Class ever made. At the beginning of 2018, there were further updates (still the 463 Series), which included the arrival of AMG’s hand-built 4.0-litre V8 twin-turbo engine, the same as what’s in the GT R. This meant that the existing 5.5-litre V8 bi-turbo was no more, and it also saw the shift of the two turbochargers from the outside of the cylinder banks to inside the “Vs”, due to a more compact and clever powerplant configuration. However, despite the drop in capacity, the output increased from 563 to 585 hp, so new owners clearly haven’t lost out. To put this nearly-600 hp into some kind of perspective, that’s more grunt than the Porsche 911 Turbo, Audi R8 and Ferrari 458 Italia, cars which all sit far closer to the ground. 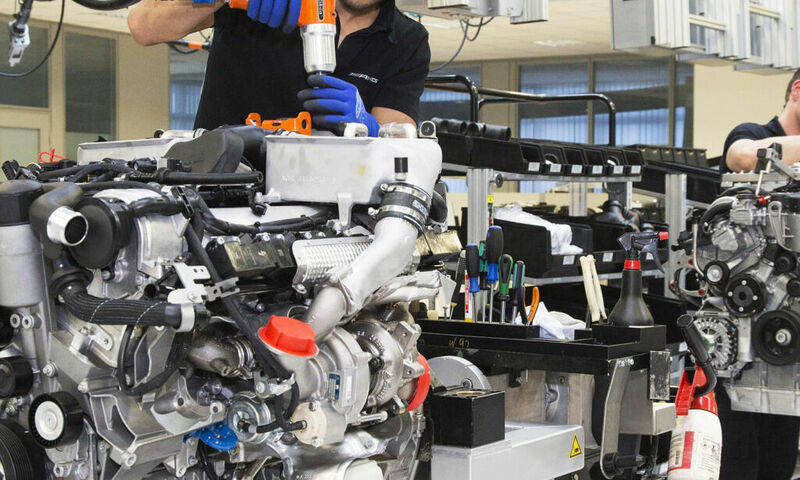 Every Mercedes-AMG G 63 is hand-built by Magna-Steyr in Graz, Austria, and the manufacturing process for a machine of this kind takes around 140 hours from start to finish. 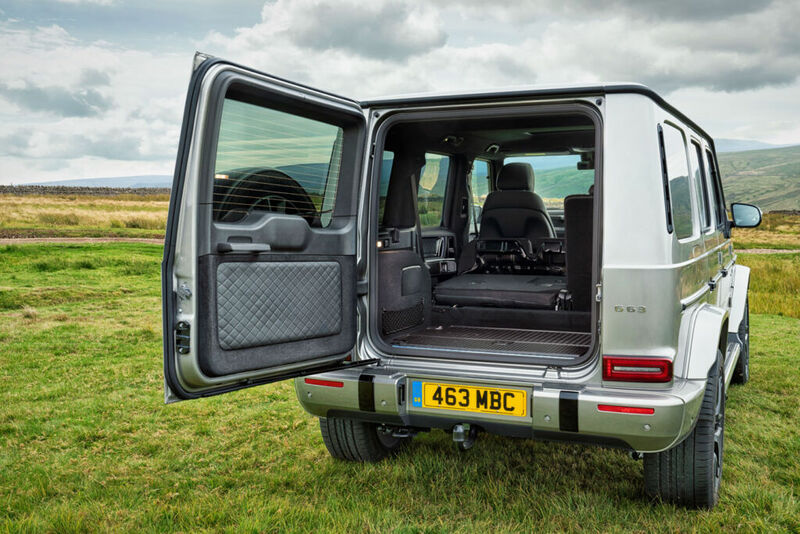 It’s certainly not the best-looking car that Mercedes has ever made from a curves point of view, but its instantly recognisable and rock solid “boxy” appearance has characterised the G-Class since it launched and has certainly not lost its appeal – quite the opposite. Despite this relatively functional design, there is something special about it, and you’re almost looking at history in motion as very little of the original DNA has ultimately changed. Granted, it’s more luxurious and grown-up since this car was born, but if you were to park the original 1970s G Model and the 2018 iteration side-by-side, you wouldn’t be able to claim that they weren’t blood relatives. There are currently two G-Class variants to choose from, which are the 286 hp G 350 d, and the one that we tested, the G 63. The latter is available from a cool £143,305 before you take the liberty of indulging in a few options. Either way, you’re probably more likely to see one of these prowling the streets of Knightsbridge, rather than tackling a mud bath or forest tracks in the countryside. 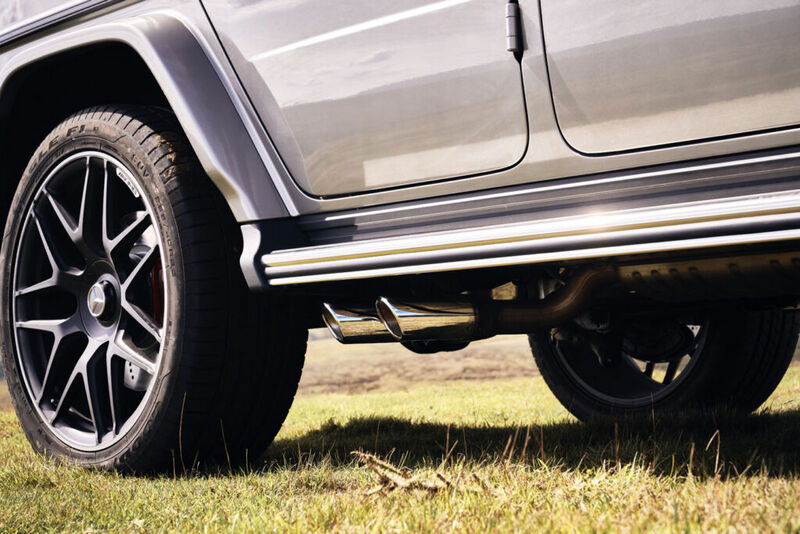 With permanent four-wheel drive, and three locking differentials to improve traction when tackling steep uphill or downhill inclines, the “G” is a highly-capable off-roader, and can also tow up to 3,500 kg of metal when needed.